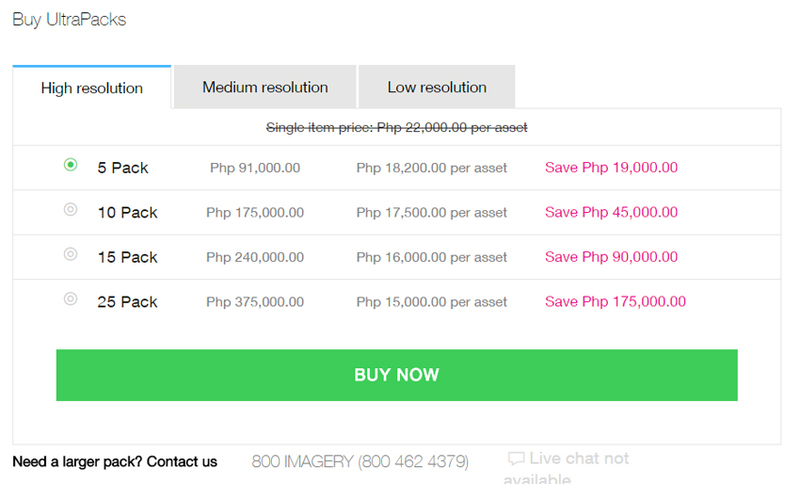 When it comes to buying Getty Images footage, the stock media agency makes a great option. This is not only due to its vast collection of video clips but also because of its highly searchable library. The stock site has its benefits and drawbacks, but we feel that the former outweighs the latter. Besides, Getty now offers a simpler and faster way to download content with pre-made packs. We will talk more about it here in this article, along with Getty Images promo code which can be found here. Getty Images have richness and variety in its library. Whatever style or theme you are looking for, you will surely find in its collection. Recent acquisition of Corbis Motion has also made the library more comprehensive and diverse. They add value to the stock site, along with content from media partners such as National Geographic and Walt Disney. The stock media agency’s licensing options will grant usage rights that will cover you from future copyright issues. Ultrapacks are a great option to purchase Getty Images footage and images. They are bulk media packs that come with a certain number of downloads as well as built-in savings. They come in different volume sizes and are divided by image resolution. They cut a percentage from the original price of the footage. The a la carte price is at $125. Buying a 5 item pack cuts $50 ($10 from each item). When you purchase a larger pack, the more savings you can enjoy. How do Ultrapacks work? Well, you pay for them upfront, then use them to download your chosen video clips. You can also use them forever because Ultrapacks never expire. That’s right! As long as you log in to your account at least once a year, you can continuously access your downloads and use them. The clips are already paid for, so you can choose and purchase the Getty Images footage you want to in an easier and faster way. However, Ultrapacks cannot be used to download Editorial Use Only footages and images. Only royalty-free assets are available for purchase. If you want to purchase additional rights such as unlimited production and multi-seat, you can too – for an additional cost of course. Otherwise, these are a great option for commercial stock. At Getty Images, you can find premium stock videos from archival content to contemporary films. Whether you want them in HD or 4K, the stock site has it all. If budget is your problem, you don’t have to worry anymore. There Getty Images coupons you can use to further your savings and complete your projects ten folds faster. You can choose between getting 30% off Ultrapacks or $100 off 1080p HD video when you sign up to Ultrapacks. Which WordPress Image Library Should You Get? Copyright © 2019 DFD Images. All rights reserved.